It's safe to say that 2016 really has flown by and in the blink of an eye it seems that we are already heading at high speed into the Autumnal months. With a new season comes new weather conditions to contest with, and I know that personally, my body and my sleeping pattern struggles to adjust to the colder months. Over the years I have come up with a few ways of my own to ease into this, and it all starts with simply changing up your bedding. Summer sleep to me means getting thinner bedclothes and opening those windows to prevent the dreaded sweaty overheating that looms and becomes a regular during the hottest days. So, as we ease into the cold nip of Autumn and Winter, it's best to beat the chill by investing in some thicker, high quality, cosy bedclothes. As a student, I'm always trying to get the biggest bang for my buck and Yorkshire Linen have the most beautiful, affordable, yet great quality duvet and pillow sets to provide you with ultimate comfort during Autumn. Each duvet set comes with a duvet cover and pillowcases, and they come in a variety of designs to suit any and every bedroom aesthetic. I'm also partial to a spot of IKEA bedding too, and I love the Emilia set for an understated and pretty sleep space. If you happen to be a member of NEXT, you can get next day delivery on a ton of sets, though they tend to be a little more on the expensive side. It's not all about the bedding though, with the Autumnal months comes darker mornings and darker evenings, which means even more cold - YAY, not. If you're someone that values a warm bedroom then it's definitely important to make sure you have a good set of blinds or curtains. I know that in my bedroom it goes from one extreme to another, -178040 or boiling hot. I myself have blackout blinds that were handmade by a family friend, but they are readily available nowadays; they work the most effectively at keeping the light out and the warmth IN. 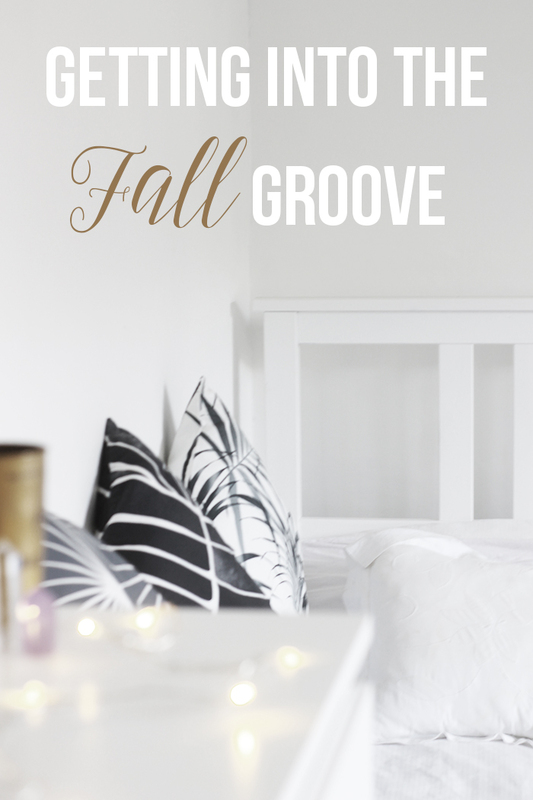 There's the obvious things to do when the seasons transition, darker bedding and decor accessories, but I do believe that investing in a good set of bedding and making sure you're well equipped for the cold is, universally, a great place to start. How do you prepare yourself for the colder months?